So I'm sure you've heard of that show Recipe to Riches, right? You know, that reality cooking show in which amateur Canadian cooks get a chance to have one of their recipes become part of Loblaws's repertoire. Each week, three finalists in different categories -ranging from appetizers to dessert- compete to see whose creation will become a real product. The winning product shows up in Loblaw's stores the next day. And then in the series finale, the winners from each week compete to see who will be the grand supreme winner. My son and I have been obsessed with watching the show since season one; we'd watch it on Wednesday nights and stop at the store on Thursday to sample that week's winner. He even went so far as developing his own recipe. Sadly, when he tried to apply, he found out that you had to be 18 to enter... and he was only 13. He was crushed. I guess that's why when he found out the Loblaws had asked me to review the winning product each week, he was super-excited. Of course I would be the assistant taster and he would be the main taster. 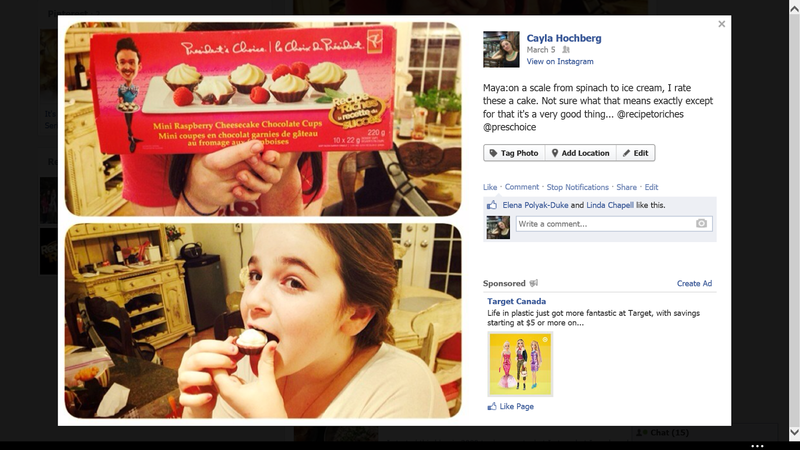 Week one was the dessert round where the Mini Raspberry Cheesecake Chocolate Cups reigned supreme. Billy rated them a 32.5 out of 35, which is quite a decent score. But I think Maya's rating said it best when she said that on a scale from spinach to ice cream, she rated this "cake." I'm not sure what that means exactly, but I do know its pretty good. This week, week two, was the main course round. We were torn when watching; they all looked so good! I have to admit, I was more than a little sad that the recipe I was rooting for, The Great Canadian Turkey Dinner, Eh! Lost. Luckily, the recipe (along with all of the other competitor's recipes) are available here. 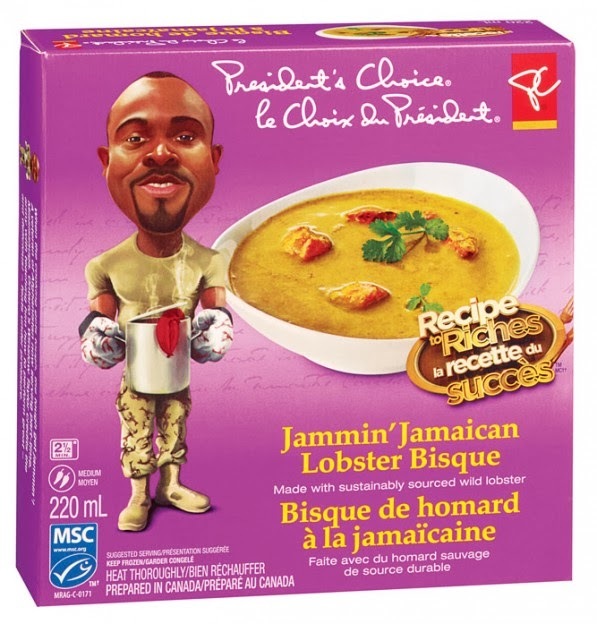 but Billy was happy because that meant that the recipe he was rooting for won: The Jammin' Jamaican Lobster Bisque. understand why it won. It was delicious: big chunks of lobster in a spicy, creamy, coconut-y broth. My son declared it the best lobster bisque he'd ever had. Now I bet you're asking whether its the only lobster bisque he's ever had. I asked him the same question and when he listed off all of the other times he's eaten it, I was satisfied that his claim was legit. He allowed the rest of us to taste the soup before commandeering the rest for himself. And when he was done, he insisted I got back to Loblaw's the next day and buy him more. Which I did, because I am a good mom... and because it was only $3.99 a pop. Which is insane for a lobster bisque that is this insanely good. You can watch Recipe to Riches at 9pm on CBC and buy the winning products and Loblaws and Real Canadian Superstores. While I was sent a sample of the products to try, I was not at all compensated for this post. My opinions are my own... as was my choice to buy more of the bisque the next day. Seriously. It is that good.